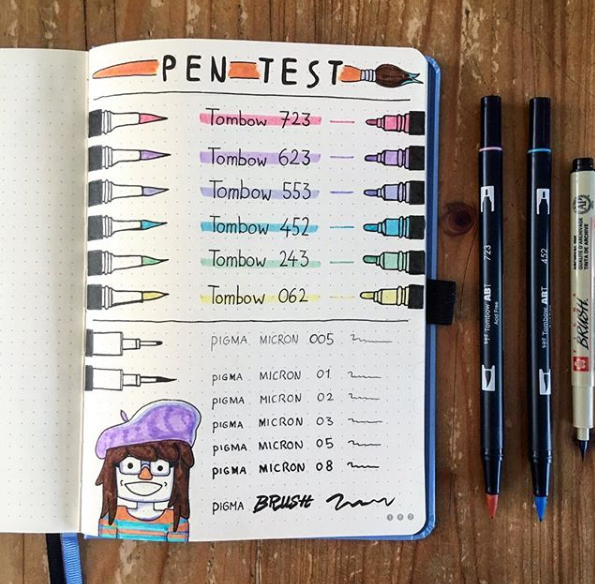 The joy of bullet journaling is that anyone can do it. All you really need is a notebook and a pen. But whether you want to use your bullet journal to organise your life or as a method of creative expression, there are a few essential tools that will make bullet journaling easier and more enjoyable. 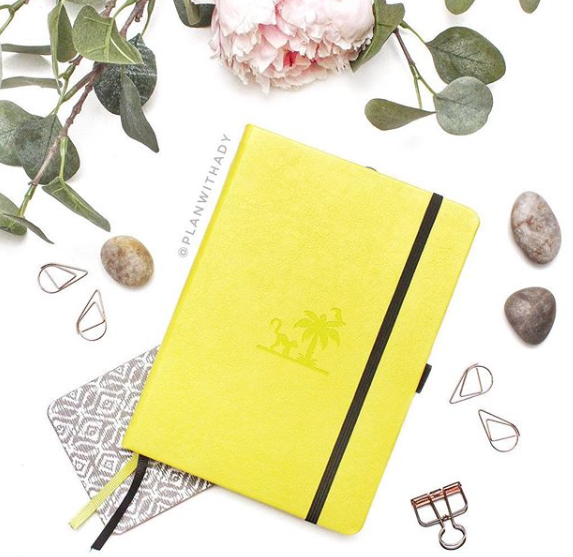 It goes without saying, but in order to bullet journal you need, well, a journal The type of notebook you choose is down to personal preference. Some prefer blank pages, others opt for dots or grids. Some like a ready-make index section, others are happy to use tabs and sticky notes to keep track of all their pages. It really is up to you. What you do want, however, is a notebook with good quality paper, to limit bleed-through from pens. Ideally, you want a notebook with at least 75 gsm paper so that your pages aren’t spoiled by marks and bleed from other spreads. The Dingbats* Wildlife range is a good option for a beginner bullet journaler. 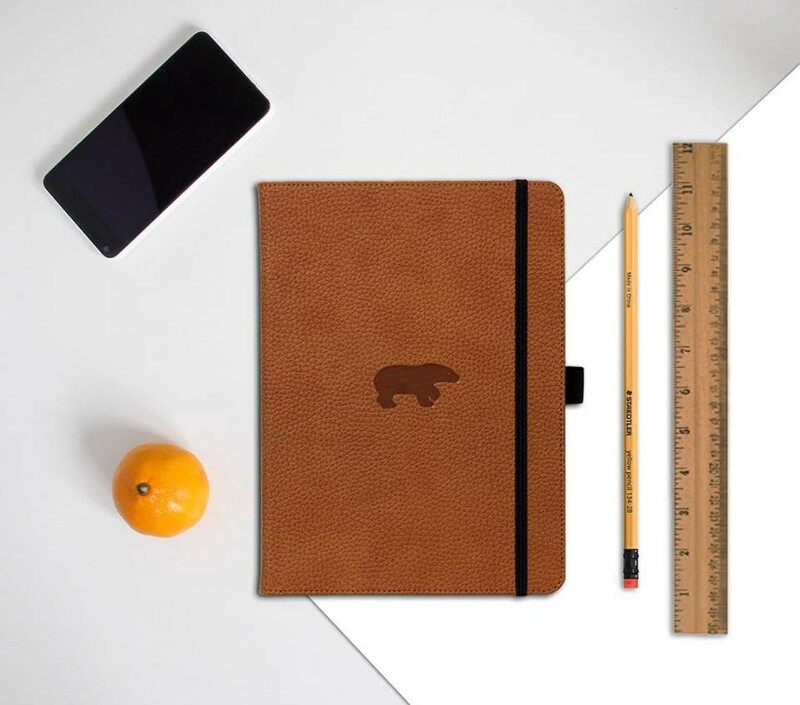 All notebooks in the wildlife range are available in A4, A5, and A6, and with lined, dotted, grid, and plain paper (as well as a whole host of other bullet journal-friendly features!) 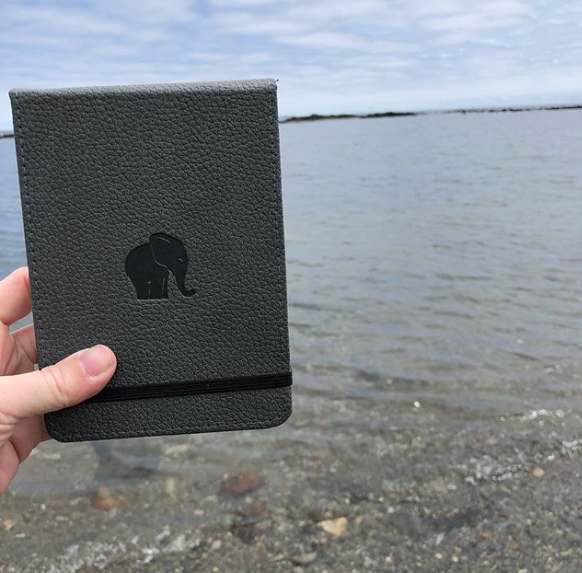 What’s more, all our notebooks are vegan and use high-quality, 100gsm, FSC-certified paper, so you can be confident that your bullet journaling habit isn’t harming the environment. 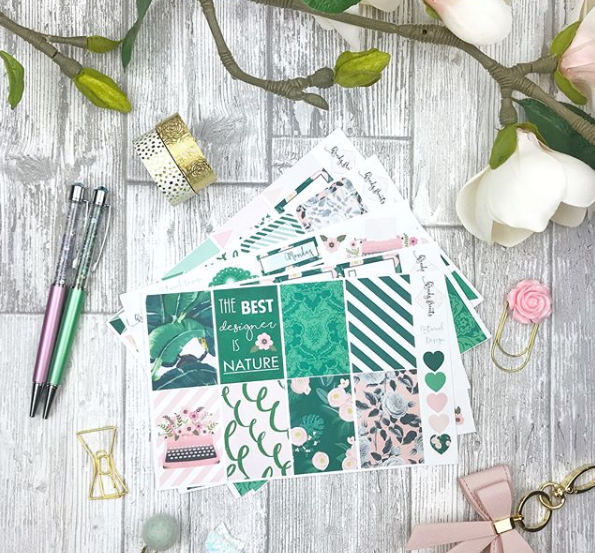 We’re thrilled to announce that you can also now pick up the Dingbats* Wildlife range online from Rymans! For your day-to-day writing, you can’t go wrong with a classic biro or ballpoint pen. 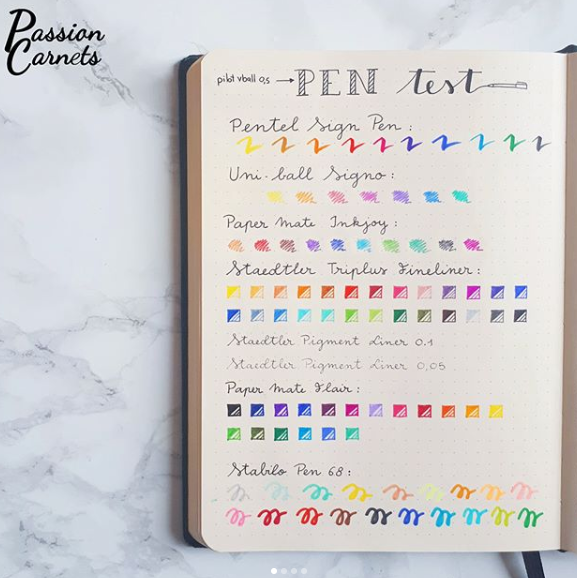 But chances are you want to get a little more creative with your bullet journal and add some different colours and styles to your pages. If you’re a fan of colour, the STABILO point 88 pens are easy to write with and come in a wide range of colour (47 different colours, to be exact). These are great for adding a pop of colour to an otherwise dull page. All Dingbats* notebooks have high-quality paper to limit bleed-through! If you like fancy brush lettering, then the Tombow ABT Dual Brush Pens are great for beginners and experts alike, and also come in an array of colours. In addition to lettering, these pens can also be used for highlighting and patterns, so feel free to get creative! Washi tape is the perfect accessory for your bullet journal. Whether you need to tape over mistakes, mark pages, or just add some fun to your pages, washi tape can bring your bullet journal to life, even if you’re not the most artistic individual. 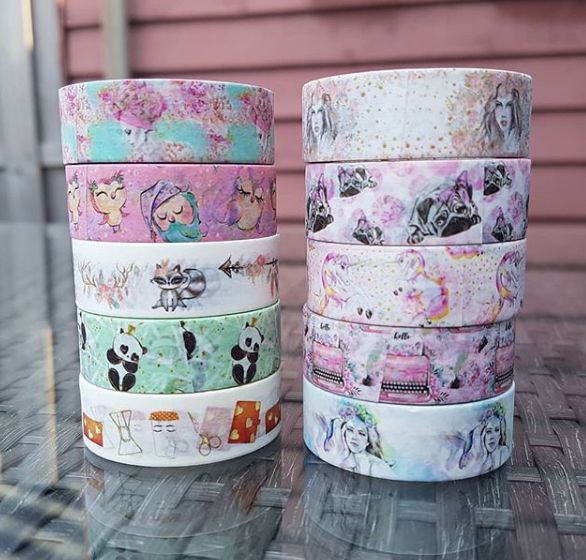 The great thing about washi tape is that there are limitless patterns, colours and styles available, so there really is something to suit everyone. At Dingbats, we personally love this set of cosmic marble-effect washi tape from Hobbycrraft. Even the most free-flowing journalers need a decent ruler to make drawing out weekly spreads and trackers easy and stress-free. The type or brand of ruler you opt for is probably less important than the size. Ideally, you want a small (6 inch) ruler that fits in the back pocket of your bullet journal, or in a small pencil case that you keep in your bag. That being said, it can be useful to have a longer (12 inches) ruler that you keep on your desk for larger, more intricate spreads. If you’re not the best doodler or artist in the world, then an array of different sticker packs can be a lifesaver when you want to add some imagery to your bullet journal. There are so many different sticker designs around these days that it’s easier than ever to find what you’re looking for. There are days of the week stickers to save you writing out your weekly spread every week and stickers to help you stick to your ‘no spend’ challenge. There are cactus stickers to add a dash of cuteness to a page and foil stickers to add a luxurious shimmer to your spreads. Whatever you want in your bullet journal, there’s a sticker for it. 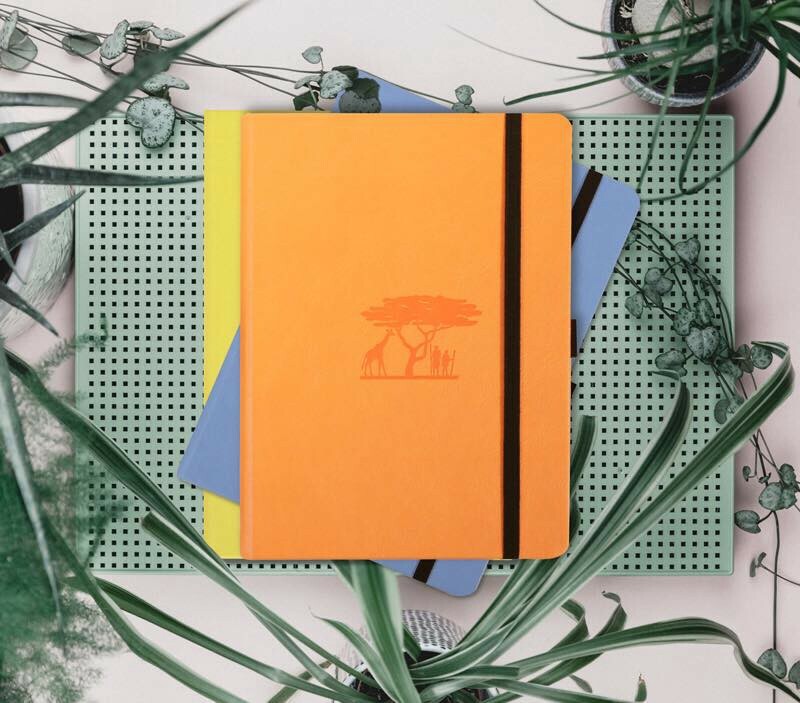 To shop the full range of Dingbats* Notebooks, including the new Earth Collection designed especially for bullet journalers, visit https://www.dingbats-notebooks.com/. 5 Essential Tools Every Bullet Journaler Needs was originally published in Dingbats* Notebooks on Medium, where people are continuing the conversation by highlighting and responding to this story.